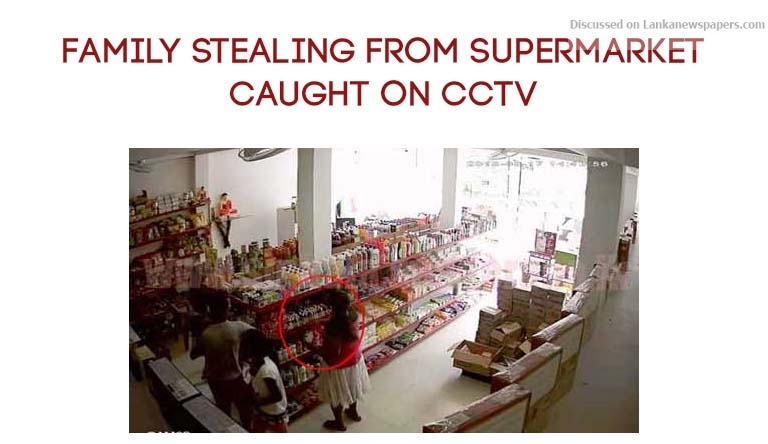 A family has been caught on CCTV camera when were stealing from a supermarket in Parakaduwa-Eheliyagoda area. A family of five, including 2 children, had arrived at the supermarket feigning to buy some goods and then had stealthily hidden items on shelves inside their clothes before leaving the place. They had stolen goods worth over Rs 8000, according to the owner. The incident had taken place on the 18th August and police has requested the public to notify the police on any information regarding the persons involved in the theft. Eheliyagoda Police are conducting investigation the matter.